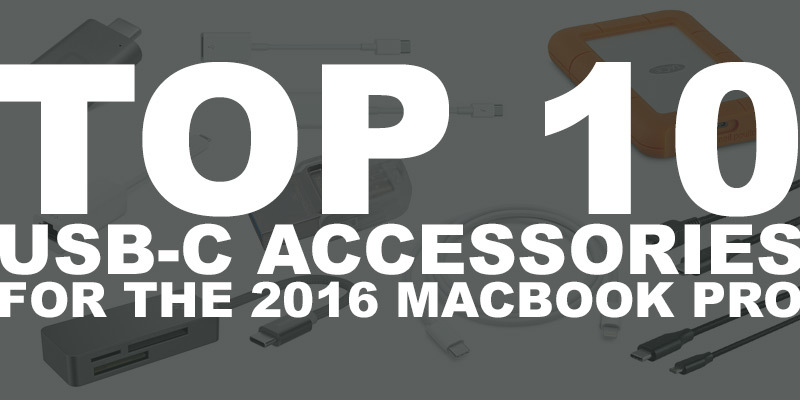 I’ve have my 2016 MacBook Pro w/Touch Bar, the fully loaded 2TB one, for about a month now. I’m loving it! My old MacBook was an early 2011 so everything has been a big leap forward for me including the battery life and overall performance. Love that size, weight and the space grey color. That said, I’ve had to purchase a bunch of USB-C accessories so I can interface with my electronics development kits and other accessories. Probe Master – Quality DMM Probes That Are Made In U.S.A.
Gladiator Garageworks – Possibly the best garage system and made in the U.S.A.
I’ve been meaning to organize my garage and turn a section into a place where I can work on my Myro Control stuff. I have been researching and looking at all sorts of “Garage Systems” and everything I have seen is either VERY expensive or VERY cheaply made using flimsy metal or thin wood/melamine. My dream garage would be filled with Lista Cabinets (as seen on American Chopper) as they offer both of my requirements: American Made and modular cabinets on casters. The only drawback being cost. Sears Craftsmen’s popped into my mind — thinking everything Craftsmen’s would be American made, right? Uh, nope. Then right next to the Craftsmen benches was this product called Gladiator Garageworks by Whirlpool Corporation. Modular cabinets on casters, check. Made in the U.S.A.? YES! Apparently all their “premium” welded case products are made in the U.S.A. That includes the benches and the gearbox. The ones you need to assemble are not so keep that in mind. The only design element I’m not too big on is the “tread” or “diamond plate” texture on the doors. I would have liked a smooth finish or options for different colors (silver, red, black, blue, etc) like the Lista Cabinets offer. Not a huge deal and the pattern is growing on me. Overall, I dig them! The price, the quality and the fact they are Made in the U.S.A. — I couldn’t be happier. Off to finish organizing the garage! When I’m changing my brakes I just tighten to what I think is “tight enough” — not always a good thing. All automotive bolts and parts have a recommended torque amount that should be followed. 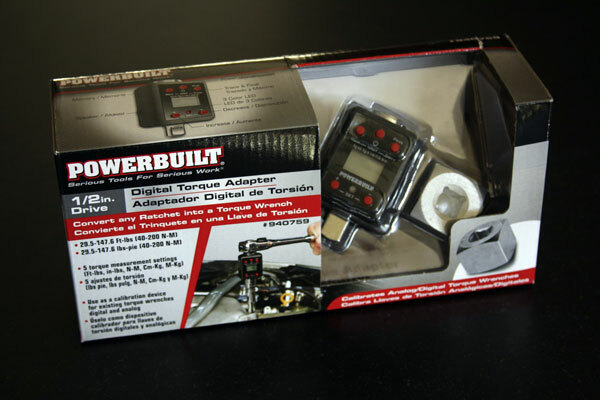 Sure, you can get yourself an analog torque wrench, but why would you when you can get the Powerbuilt Digital Torque Adaptor that turns any 1/2″ rachet into a digital one? 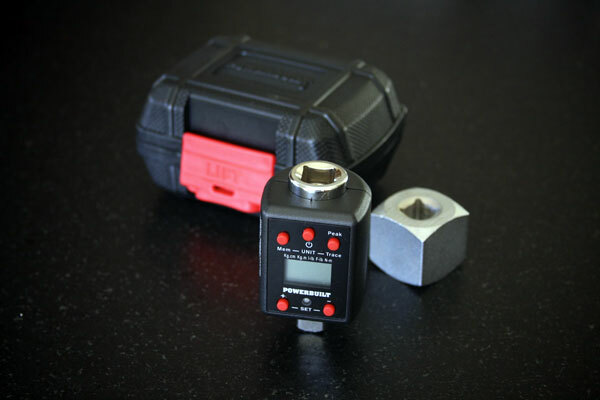 This little gadget not only can be used to calibrate analog torque wrenches (which you’d pay about the same as the adapter if taken to someone to calibrate) but you can use it in situations where you need precise torque pressure using a standard rachet wrench. The feature I really like is that you set the torque amount you want to achieve and then as you tighten you get both visual (LED light & LCD torque amount) and audible indication. 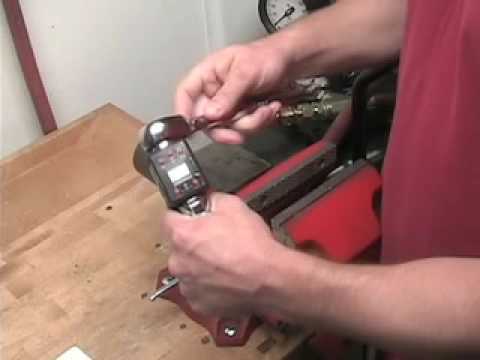 The Powerbuilt Digital Torque Adaptor is Mavromatic’s, “My favorite tools”, for March 2010. It runs about $50. The Final Cut Blade is one of those products that make you go, “Why didn’t I think of that!?”. It’s genius! It really is… a blade that sands while it rips! 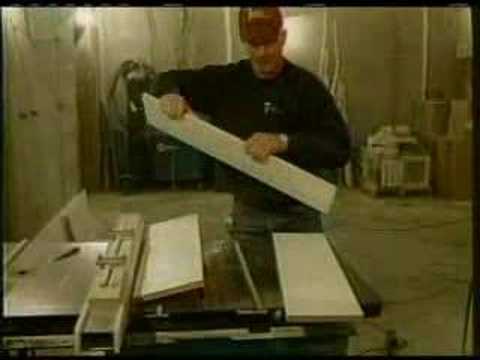 The way it works it very simple — you attach a self-adhesive sand paper which is designed to fit most blades and comes in sizes ranging from 10″ to 12″ — as the blade cuts, it also gives a nice sanding. You get perfect edges that are ready for glue or staining. Watch the video above to view how the system works. Blades and sand paper is available directly from the Final Cut Blade Store. One of my pet peeves is having unlabeled wires and cables. It drives me bonkers! That’s why the Dymo Rhino 3000 is My Favorite Tool for July 2009. This little tools lets you label all your wires and cables very simply. If you are asking yourself what makes the Rhino better than say a Brother P-Touch? Well, it’s all in the adhesive and printing layout. First, the adhesive on these labels is meant to be wrapped around cables and wires so you can be sure they won’t pop off. The label actually feels like it “shrinks” onto the cable (they do have true heat-shrink versions too). Second, this rugged labeler was designed to print labels for A/V and Networking cables and wires so the way it prints the text is meant for easy reading when wrapped around the cable. Here are even more reasons. If you have an A/V rack or network closet you owe it to yourself and anyone that works on your stuff properly labeled and organized wires. 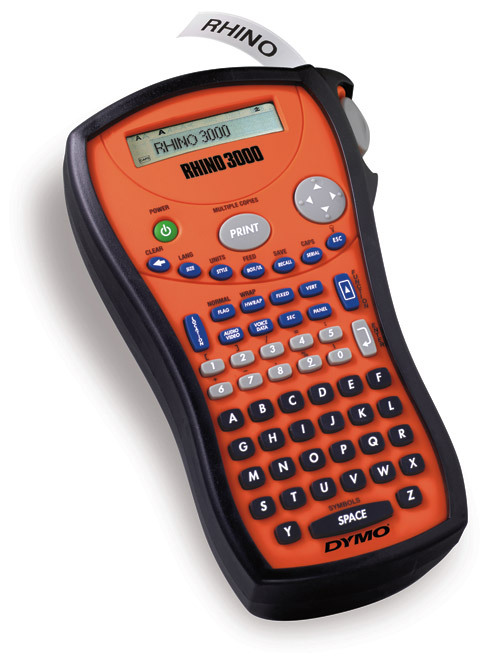 The Dymo Rhino 3000 is the tool that can make it happen… it will be the best $80 you’ve ever spent!